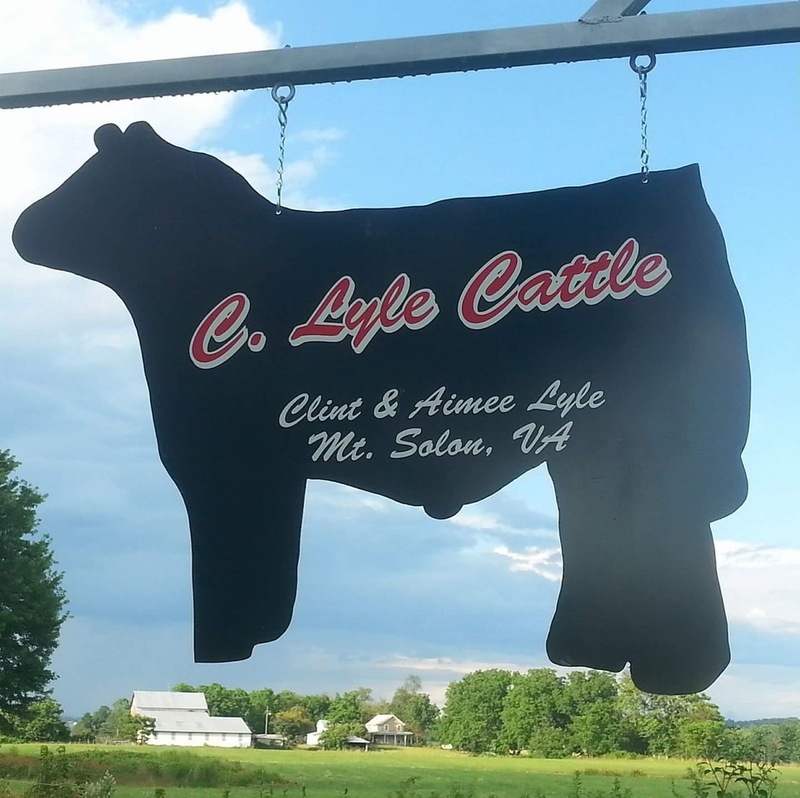 C. Lyle Cattle is owned and operated by Clint and Aimee Lyle of Mt. 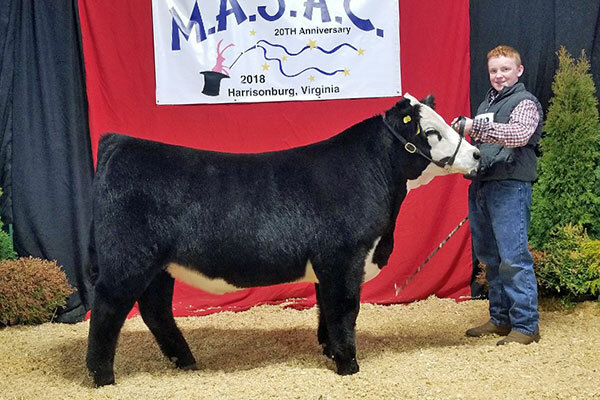 Solon, VA. Clint has been raising and selling show cattle for 18 years, and during this time, he has worked diligently to collect good show cattle genetics, whether it be good maternal stock or good club calf genetics. The majority of the herd’s pedigrees now run deep with show cattle genetics. We utilize Simmental, Angus, Maine, and club calf genetics. 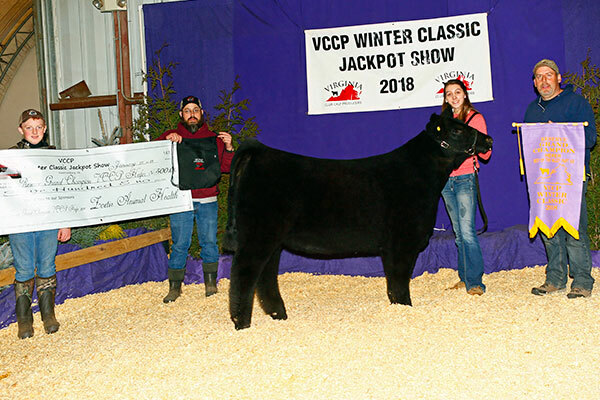 We sell steer and heifer show calves through the annual VCCP Best of the Valley Steer and Heifer sale in the fall and Breeding stock and bulls through the VCCP Eastern Elite sale in January. 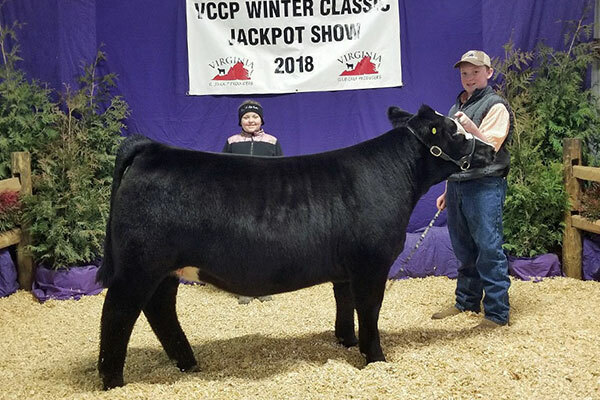 We raise and sell club calves every year and have placed an increased emphasis on Angus and Sim Angus cattle where we have been very fortunate to aquire some superb donors. Feel free to give us a call anytime. We would love to have you come visit. 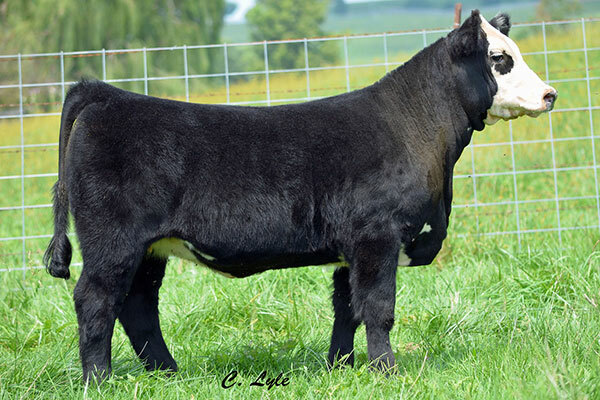 For automatic updates and availability, like C. Lyle Show Cattle on facebook. Believe in Me X Simi/Angus. Currently, Miss Madonna is our go to donor for club calf production. She is so powerful, yet keeps them pretty and sound. She has matured into a super deep bodied donor with a wonderful udder. 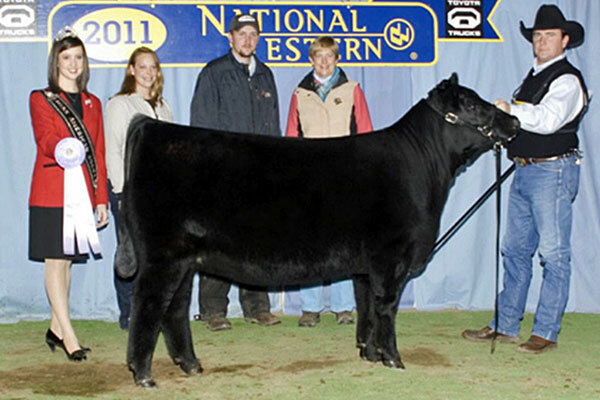 PB Angus, A Denver and Dixie National Champion in 2011. G13 Stand out X the 2008-2009 Champion Embryo Cow of the Year, KJF Pride K32-M35 owned by Cherry Knoll, the cow with too many accomplishments to list. With the super success of this cow, we are very fortunate to have a part in this one and are extremely pleased for what she is doing for our herd and what she can do for yours. We have been flushing this one to both Simmental and Angus Bulls. Loaded up and Saugahatchee bulls currently available, call us. 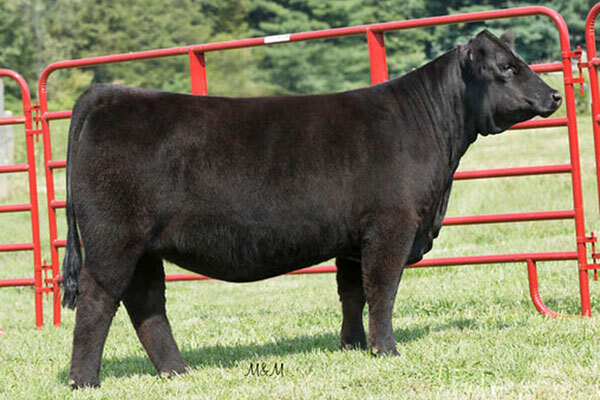 PB Simmental, WS Revival X BS Miss 307A (Custom Built). The result of an embryo purchase, this is our new up and coming donor that we are super excited about. She is shapely and powerful with plenty of rib. She is moderate for a Simmental and super clean through her front end and throughout her lines. We have had a lot of compliments on this one and have been offered more money for this one than any we have ever been a part of. This one had our hearts pumping since the day she hit the ground. Hallelujah! Finally, our kind of Simmental. Reg. Maintainer- Unstoppable X 9X17 (Maximus X Who Made Who). Power, elegance, mass, hair, what a great club calf donor! 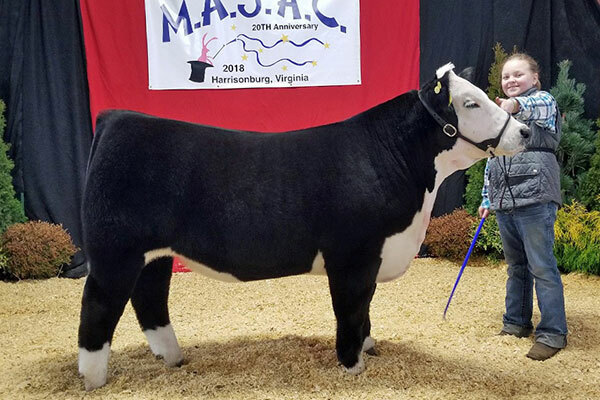 This one is no stranger to the show ring, nor are any of her siblings, whether they were steers or heifers, they have all demanded attention and purple banners. Be on the lookout for this one’s progeny; she is a power house. We plan to use this donor to raise Maintainers as well as club calves. 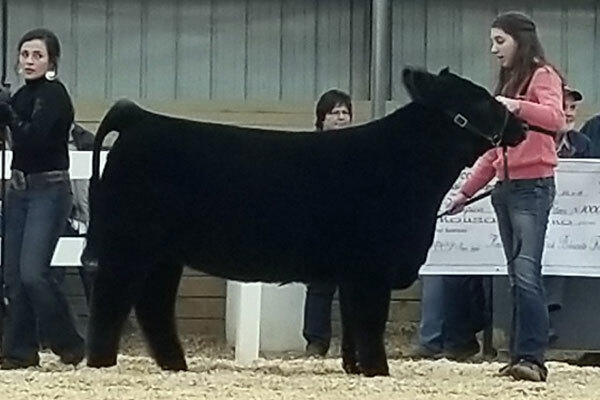 PB Angus – SAV International X Champion Hill Georgina 7225. Our donor selection from the Champion Hill dispersal. What a powerful and elegant angus cow. Georgina, Aimee’s favorite cow family, and it is obvious why. Georginas are beautiful, functional cows with a history of success that you could write a book on and start a bank with. 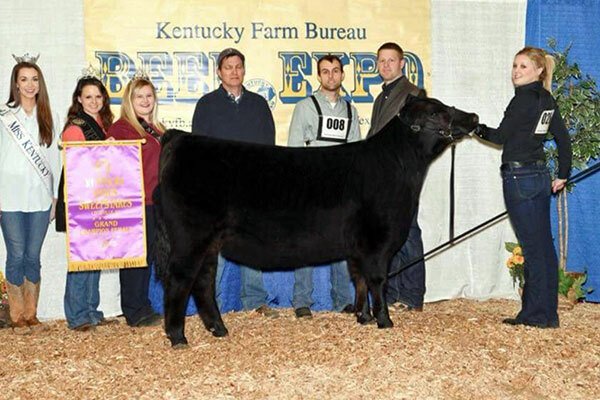 Reese Johnson led Champion Hill Georgina 7225 to many champion backdrops, and her progeny are doing the same. 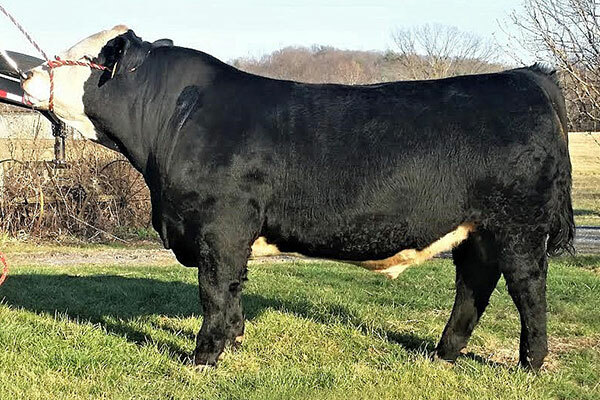 PB Simmental Herd Sire- One Eyed Jack X Upgrade. This bull was a high seller from the Iowa Beef Expo and now resides at C. Lyle Cattle as the top herd sire. He has an outstanding pedigree, wonderful phenotype, and was the high performance bull of the sale. We are excited for what this stud is going to do for our herd.